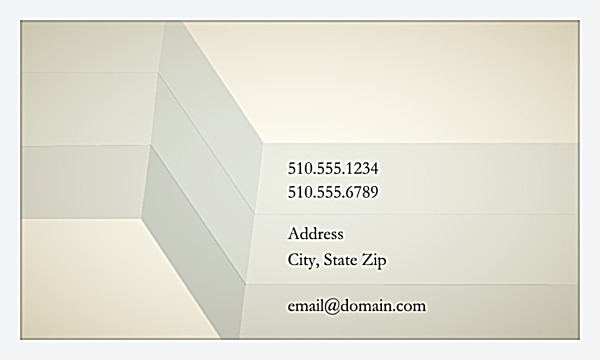 Promote the magic of your brand with our Abstract Illusion business card design template. On the front, three parallel lines twist and turn to lend a sense of 3D depth over a cityscape background. The theme carries over to the back, save for a solid-color background. 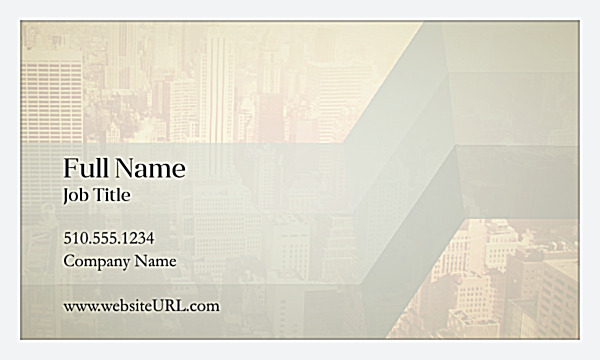 The result is a business card that makes your brand appear powerful yet refined. Abstract Illusion is a great business card design for corporations, professional services, B2B companies, and any brand with a “metro” vibe. Select one of three color schemes and four edge trims, then customize Abstract Illusion with your name and contact information to perfectly match your brand image. Design your own business cards online with our business card maker, a design tool that lets you point-and-click your way to a truly unique look – no graphic design skills needed! Use the design tool to easily alter text, adjust the layout, and even add your own logo and images. When you’re done, you can download a free PDF of your design to share with friends and colleagues. All that’s left to do is print your business cards. Quality is paramount to a great-looking business card, which is why PsPrint only uses premium paper stock and vibrant soy-based inks to deliver high-quality business card printing. Choose between standard business cards, folded business cards, die-cut business cards, and even triple-thick ultra business cards to set your business apart. Everything is backed by our customer satisfaction guarantee, so you know you’re getting a great business card at a great price.